Set on the High Plains east of Denver in the small town of Holt, Colorado, a high school teacher is confronted with raising his two boys alone after their mother retreats first to the bedroom, then altogether. From these unsettled lives emerges a vision of life, and of the town and landscape that bind them together. 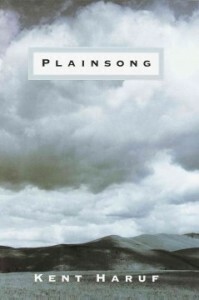 True to the rhythms and patterns of life, Plainsong is a novel to care about, believe in, and learn from.